Staying warm and comfortable is easier when you have a Coleman Convoluted Camp Pad between you and the ground. 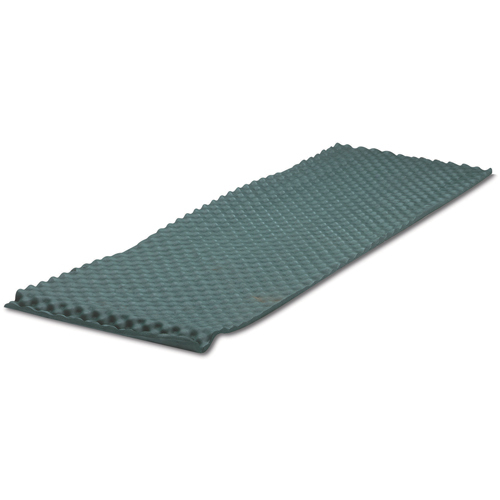 Closed cell polyethylene makes this camp pad a great lightweight, water-resistant insulator. It won't weigh down your pack or absorb water from wet ground. The convoluted surface provides extra cushion, and the whole pad rolls up and ties together with the integrated straps. - Dimensions: 0.63" x 24" x 72"